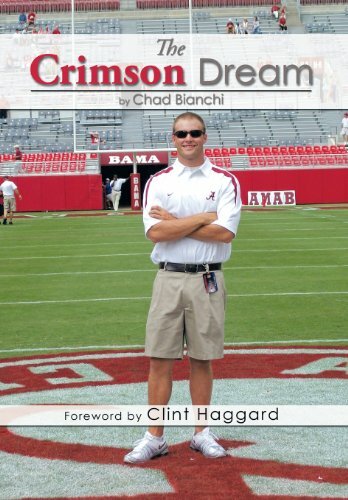 The Crimson Dream, written by a former support staffer (2002-2006), takes reader off the field of Bryant-Denny Stadium and gives a faith-filled account of what it means to have the F.O.G. even though medical issues tried to slow me down. 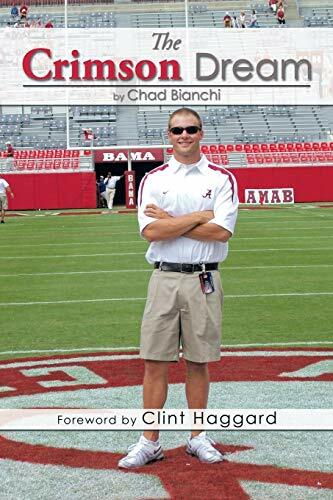 Yes, Alabama football is the backdrop, but it is about so much more than that.While many books just give just a field analysis, I give you a peek, beyond what is seen on Saturdays . . . all from my perspective 40% of all book sales, will go straight to storm-ravaged Tuscaloosa, which is still rebuilding, after the April 27, 2011 tornado. Chad Bianchi currently lives in Millbrook, AL (suburb of Montgomery), with his mother, step-father, and grandmother. A 2007 graduate of the University of Alabama, with concentrations in Healthcare Management and Biology and a 2011 graduate of the University of Phoenix, with a Master' in Business Administration (MBA), Chad is a big proponent of AdvoGeneX and how it is providing a solution to the underlying safety issue in sports. He attends and is involved in the Montgomery campus of Church of the Highlands. Although Chad still faces many challenges, he enjoys telling how faith and God:s love can bring you out of the darkness. You can contact him at chadbianchi1@gmail.com.